CloudApp provides you with all the tools you need to visually communicate ideas, share feedback, and collaborate with friends and co-workers. 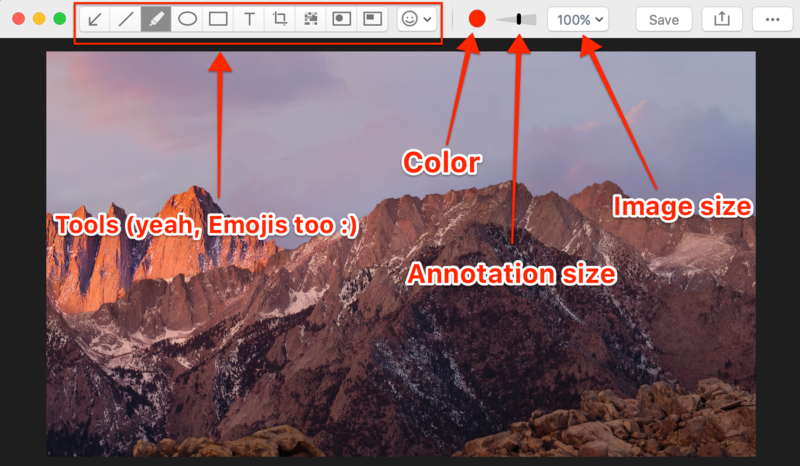 Easily annotate images and GIFs with lines, shapes, arrows, blur, emoji and more. Use the Line & Shape tools to call attention to specific areas. Click the spot where you want the text to appear. A text cursor appears. Use the Pen tool to freehand draw with digital ink. Hold and drag over the image to draw with digital ink. Hold and drag over the area you want to pixelate. Hold and drag over the area you want to include in the image. Once you release your finger, everything outside of the selected area will be removed.